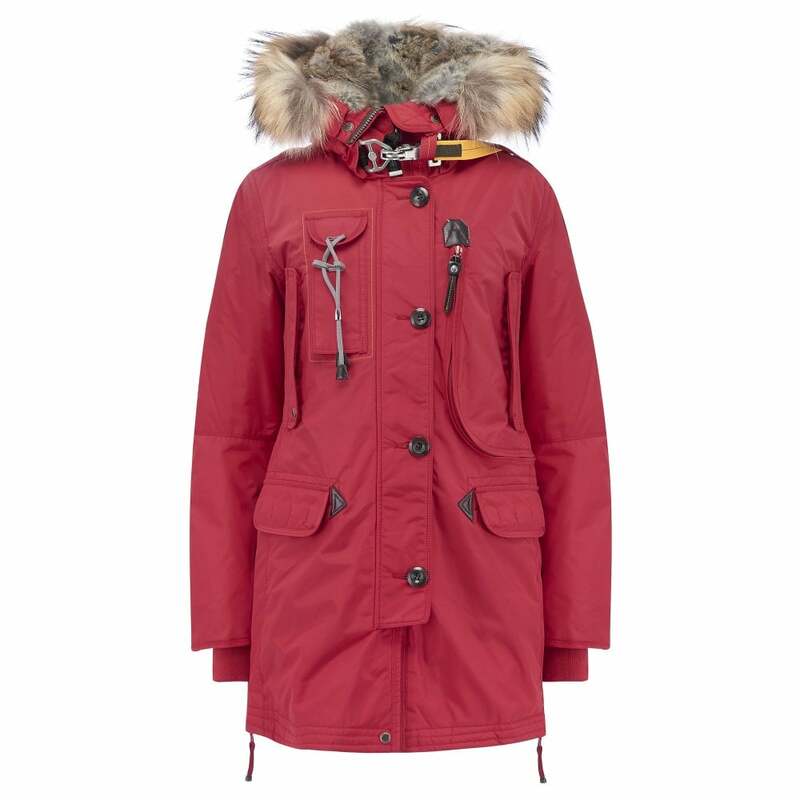 Kodiak Parka in Scarlett: Parajumpers best selling Kodiak parka is styled in a water resistant nylon Oxford fabric, with a laminated backing for extra water resistance. The hood features taped seams and a detachable ethically sourced by-product fur, rabbit fur lining and raccoon trim. The Kodiak parka features multiple front pockets, inner pockets, elasticated inner cuffs, two way zip front fastening and button closure and a half elasticated waist at the back.The parka sports the brands signature badge on the sleeve and is the ultimate winter coat for weather protection in style.